Home Healthcare Accreditation requires employer to ensure Home Health Aides to have 12 hrs of In-Service training every year. ESS simplifies this process through in-depth tracking compliance and supporting you in motivating your aides. 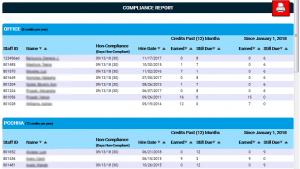 Providing training, tracking compliance and motivating aides to complete In-Service training is challenging and non-compliance will result in failure to become accredited or to lose accreditation. 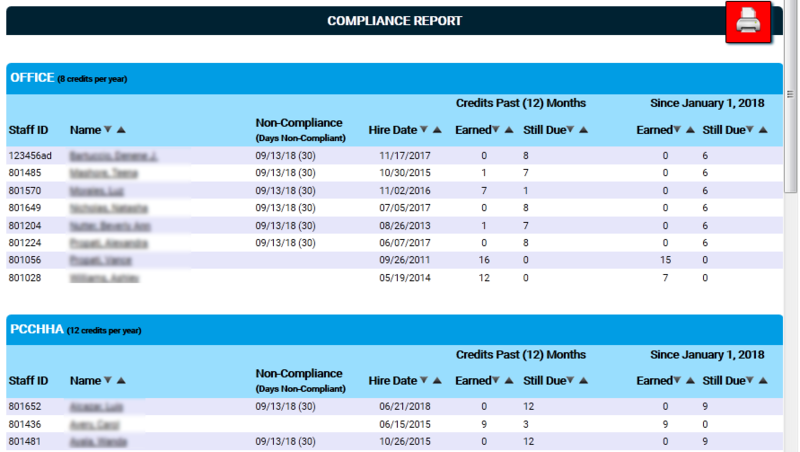 The ESS system streamlines this process by having the aides themselves maintain their information, in addition to allowing them to complete educational credits right on the website. The on-online educational modules can be customized to suit your business through the revision management tool. You can also upload your own training modules and questions.